Anyone else as ready for it to be Friday as I am??? Goodness, what a long week. At least it’s been a productive one. One of the most productive things I did was re-signup at the gym. I’ve made a pact with myself. I MUST go at least twice a week! 3 days would be preferable but I will not beat up on myself if its just 2. 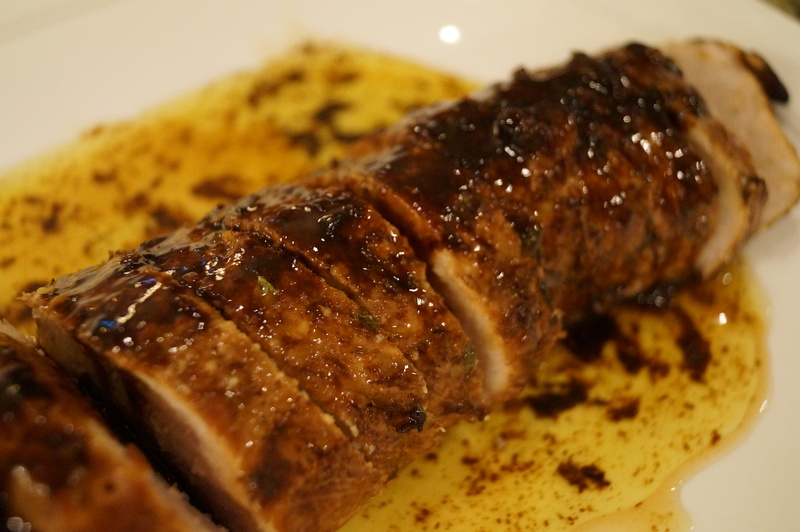 I have to admit – I’ve never been one to cook many pork tenderloins. Mainly because they always seem dry. But alas! I have found one that is not!!! I made it this past weekend and even though my “pan sauce” separated and didn’t’ thicken as it should – it was still yummo!! 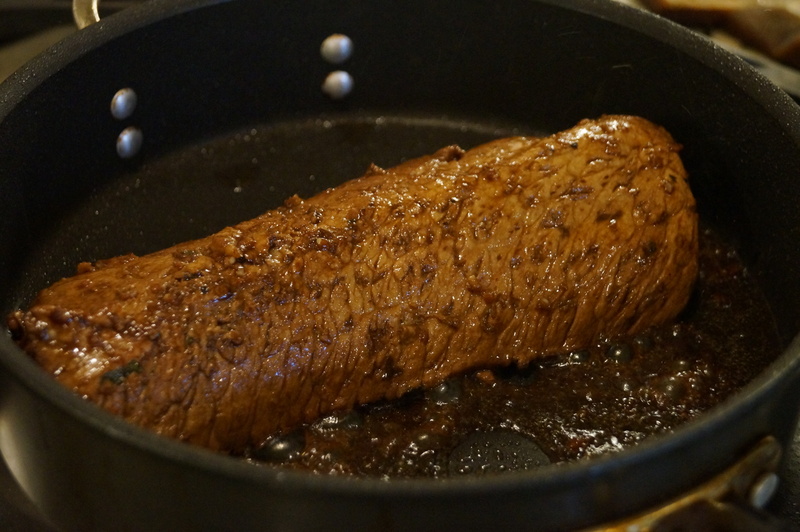 The tenderloin went great with mashed potatoes and roasted brussel sprouts! 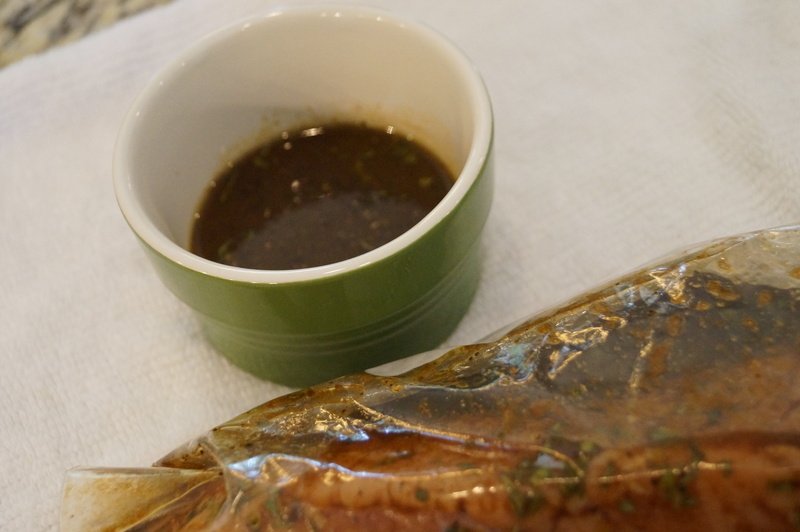 The marinade is just awesome. I think I might try it with chicken. Recipe adapted from Chef Mommy. Mix all ingredients together. Reserve 2-3 Tablespoons. 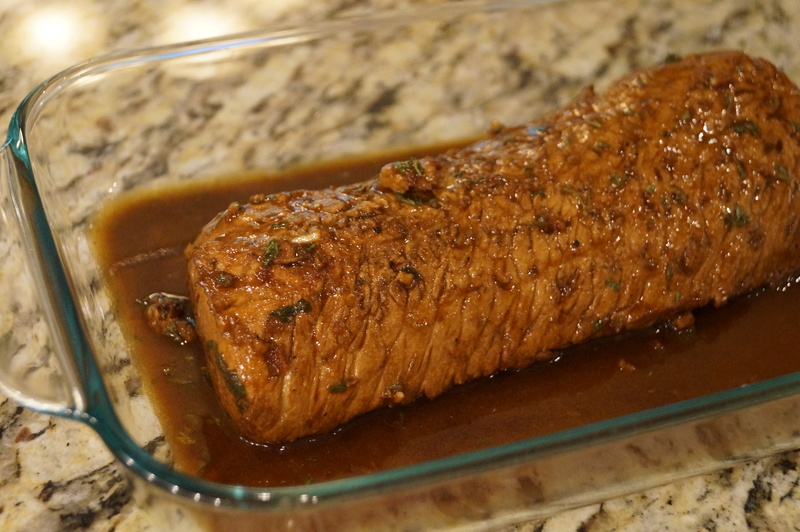 Marinate 1 lb pork tenderloin in ziploc bag for at least 3 hours. I think the longer the better. Take the pork from marinade and sear all sides for 2-3 minutes in hot skillet over medium-high heat. Place in baking dish with several tablespoons of the marinade (from the bag – not the reserved marinade) and bake at 350° for 30-40 minutes. Take the skillet you seared your pork in and deglaze with ½ cup chicken broth. 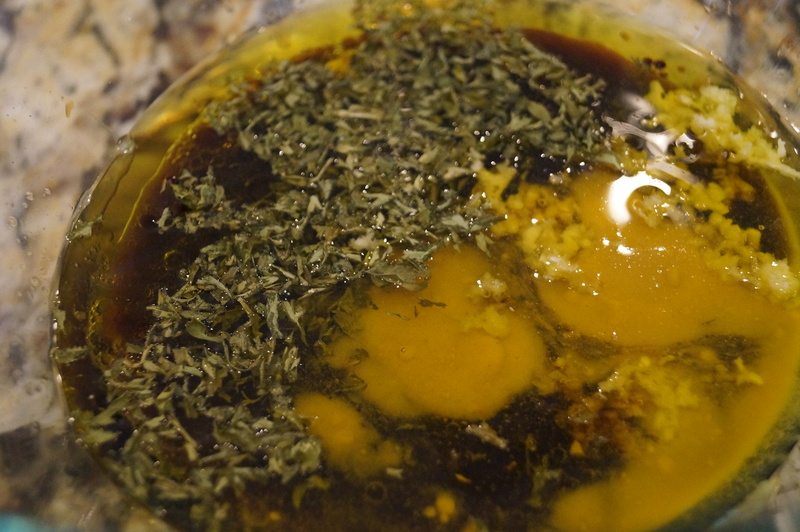 Add the reserved marinade and let boil down for 2-3 minutes. 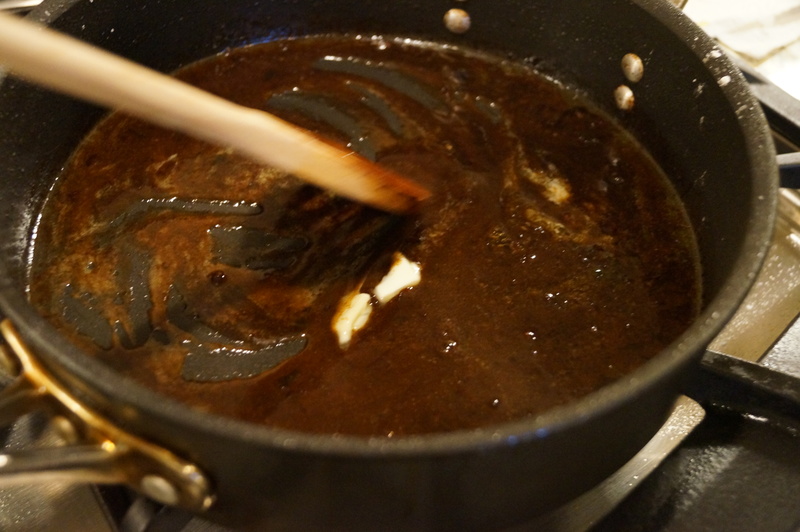 Add 1-2 teaspoons of butter (oops! I think thats where I messed up – I did tablespoons). Stir until melted. Pour over sliced pork. Do you see all the extra butter floating around??? How could you not?! 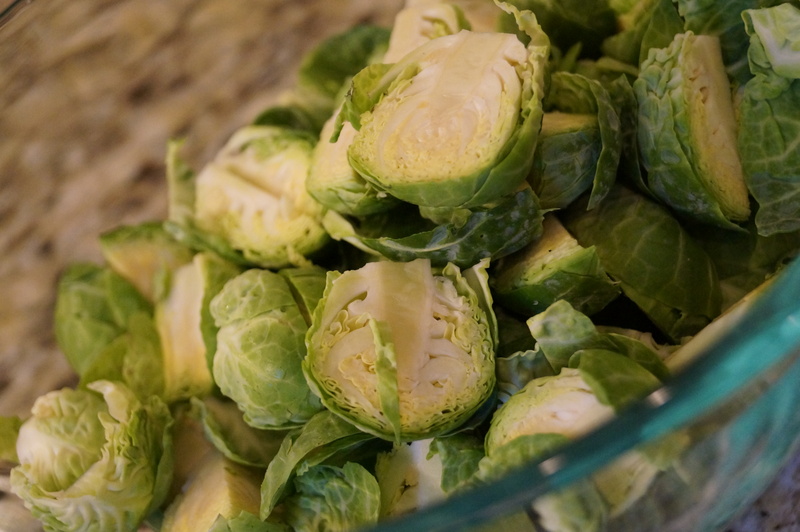 A little extra butter never hurt anyone……..
As for the brussel sprouts. Just half or quarter them according to size. 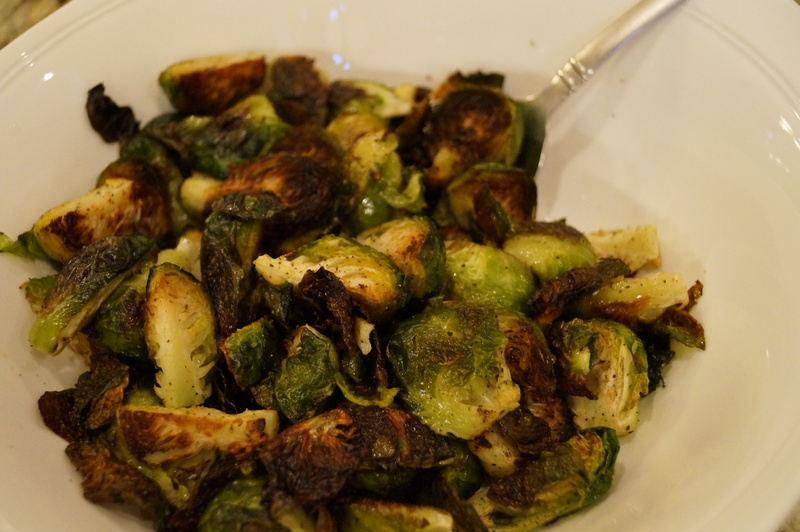 Toss with extra virgin olive oil, garlic salt and fresh ground pepper. 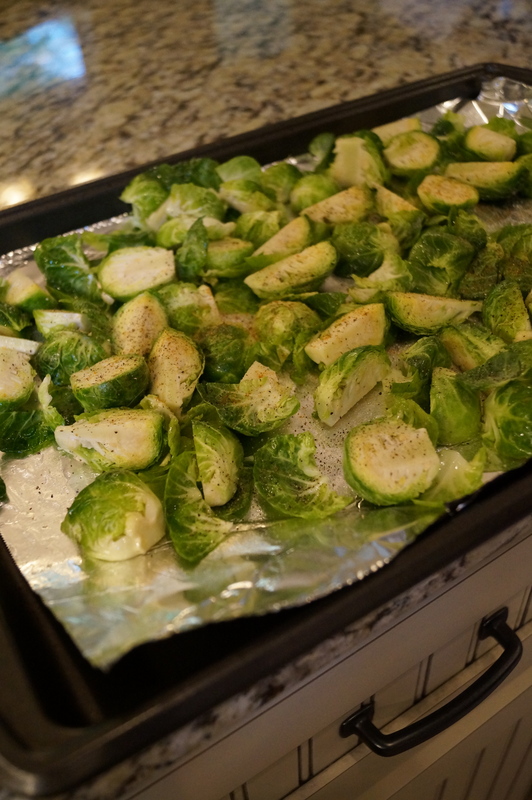 Place on a foil lined baking dish. Roast for 20 minutes at 415°. Turn them 1-2 times during that time. I like mine a little black and crispy. Right now would be a great time to sprinkle a little Parmesan cheese! Even with the ugly looking pan sauce this meal was a winner! “Are you ready for some footbaaaaallll? ?” – Hank Williams, Jr.
That marinade is awesome! let me know what you think when you try it!